The Latin-pop anthem “Despacito” rocked the speakers in Friends Hall this past Monday, Oct. 15 as students and faculty trickled into the area to celebrate the last day of Latin@ Heritage Month. 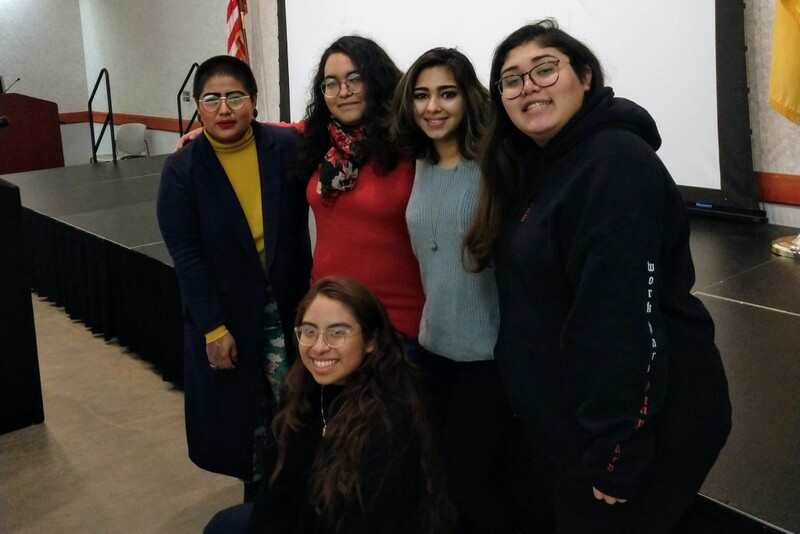 Students from a multitude of cultures and backgrounds celebrated the event by enjoying a tasty variety of Latin foods and hearing from internationally acclaimed queer migrant poet, Sonia Guiñansaca. Organizations from all over campus were in attendance, including the Black Student Union (BSU), Student Government Association (SGA), Women’s Center and the Civic & Community Engagement Center (CCEC). 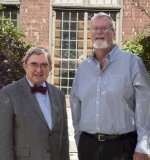 Additionally, an assortment of Ramapo College administrators such as the Dean of Students Melissa Van Der Wall and President Peter P. Mercer came to celebrate the occasion. Students from the BSU, Nathalie Arboleda, Sapphine Allen and Devin Anthony, highlighted the importance of diversity at a Latin-based event. “When it comes to minority groups on campus we need to have more events where we celebrate different cultures,” Anthony said. Members of the SGA, another organization that had a heavy presence at the event, offered further insight into the significance of having such a diverse turnout. Eddie Anand, who serves as secretary, expanded upon the subject. As conversation began to die down amongst attendees, Equity and Diversity Peer Educator Maria Martinez kicked off the event by inviting everyone to eat and asking that they stick around for their guest speaker. The food, which had already filled the room with its powerful aroma, ranged from chicken and beef empanadas to mouthwatering dessert options like flan and warm churros. While it didn’t seem to last long, every person lucky enough to get their hands on it seemed satisfied. Things shifted gears, however, when guest speaker Guiñansaca took the stage as attendants finished up their meals. A cultural organizer and activist from Harlem by way of Ecuador, Guiñansaca is famous for her poetry which has been featured on NBC, PBS, Latina Magazine and UK’s Diva Magazine. Guiñansaca tackled tough subjects early in her presentation, asking, “children of migrant folks to raise their hands,” to which a fourth of the room’s hands skyrocketed into the air. She dedicated her first poem, titled “Ode to Calling Cards,” to the students who had just revealed their family history. Guiñansaca then proceeded to put aside the poems she had planned and instead asked students and faculty a few simple, yet powerful questions that she wanted to see a show of hands for. Questions like, “How many of you feel safe on campus?” and, “How many of you feel supported on campus?” resonated within the room. There was a lack of raised hands among the students. Higher-end faculty like President Mercer seemed to take notice. Guiñansaca tried to keep her presentation short and to the point, so after a few more poems she ended with a compelling closing statement.